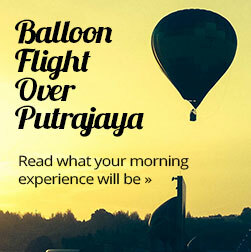 PEOPLE now have one more reason to visit Malaysia’s administrative capital Putrajaya, and this time they can do their visit 500 feet above the ground in a hot air balloon, while watching the sun rises. Run by MyBalloon Adventure, the daily hot air balloon ride starts at around 7am in the morning at Monumen Alaf Baru, Precinct 2, Putrajaya; the same spot where the Putrajaya International Hot Air Balloon Fiesta is held every year. 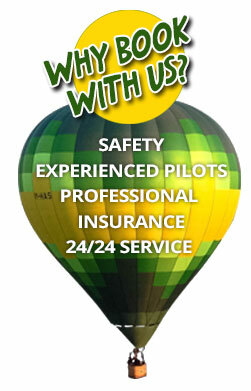 One of the pilots is Captain Filip Audenaert from Belgium, who has been flying hot air balloon for the past 20 years. 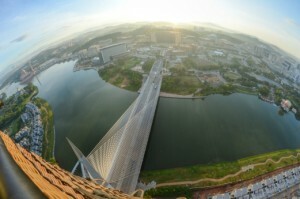 On the ride, passengers will see the beautiful view of Putrajaya and Cyberjaya. If the day is particularly clear, Twin Towers, KL Tower, Genting Highland and the KLIA twin airports will also be visible. Just bring your cameras and GoPros to record the memorable experience. Following the flight, passengers will be picked up at the landing spot, given a refreshing cold towels, bottles of mineral water and the traditional, post-flight celebratory balloon fliers’ toast. To top the wonderful experience, passengers will be ferried to Cyberview Resort and Spa Hotel in Putrajaya for a buffet breakfast, and at the same time, be presented with a Certificate of Participation. The Myballoon Adventure experience starts from RM850 per person and advance booking need to be made at www.myballoonadventure.com.